Ever since I visited Don Angie last November, I've been sort of obsessed. It's a new Italian restaurant in the West Village of NYC, and everything on their menu is addictively delicious. I've been three times so far, and while my order has changed *slightly* depending on who I've dined with... one thing has remained constant: the famous "Lasagna for Two." But it's true. It's not your typical lasagna. 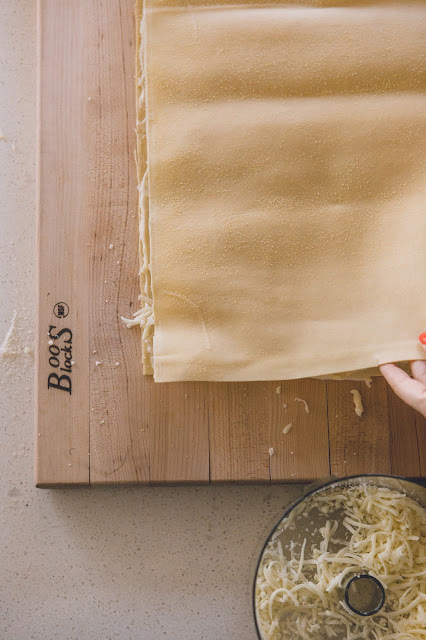 Instead of large heavy squares, it consists of light, rolled sheets of pasta where every piece has the perfect balance of cheesy goodness, pasta, and crispy edges. It's as beautiful as it is delicious. And while it's totally worth it (especially if you visit with a group of 3-4 people and can order other things), I got to thinking about attempting to make it at home. Fortunately, figuring out the exact recipe wasn't as difficult as I expected because the husband and wife team behind Don Angie actually made the famous lasagna on a Today Show segment. They were also kind enough to post the recipe online, and offer more tips here on Food & Wine's website. That said... I'm not going to lie to you. This is an extremely labor intensive dish. It involves making three different sauces, and either making your own pasta or locating pasta sheets at a pasta shop. It's also recommended that you make all the sauces a day before you plan to assemble and cook, so it's actually a 2-day process. Also, I noticed that the amounts listed online would make a really large batch of each sauce, so I've cut them down accordingly to what I think to be more appropriate for making just one pan of this delightful lasagna. I made my bolognese with all pork because I used some of it to cook dinner when my sister was in town and she doesn't eat beef (the original Don Angie recipe calls for veal.) I also made the bolognese on a different day than the rest of this recipe when Justin wasn't available for photos, so please enjoy this helpful time lapse of me making pork bolognese. 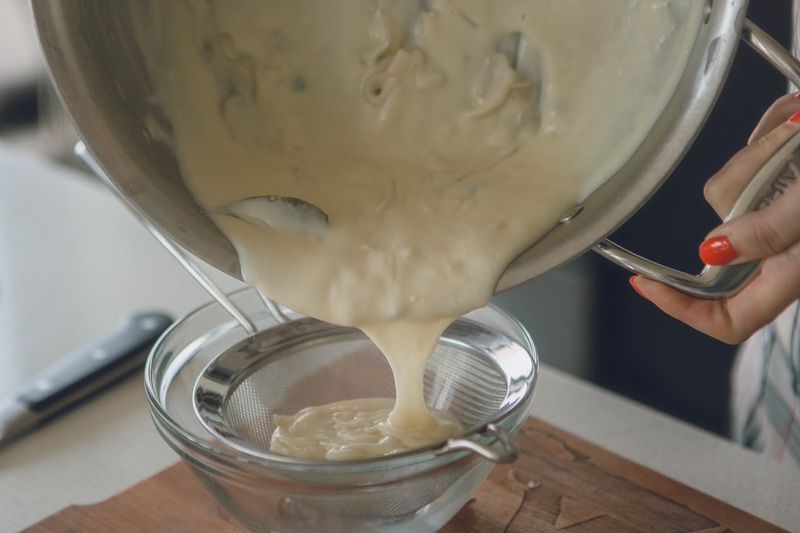 If you've never made a béchamel before, it starts with a healthy amount of butter (5 tablespoons to be exact.) Melt in a heavy-bottomed pot over medium heat. Add shallots, bay leaves, thyme sprig and peppercorns. Cook over low heat until shallots are translucent. Add flour and stir well. Cook over medium heat for five minutes, stirring constantly. Add milk and stir. Cook for 10 minutes, whisking constantly. Season with salt to taste. 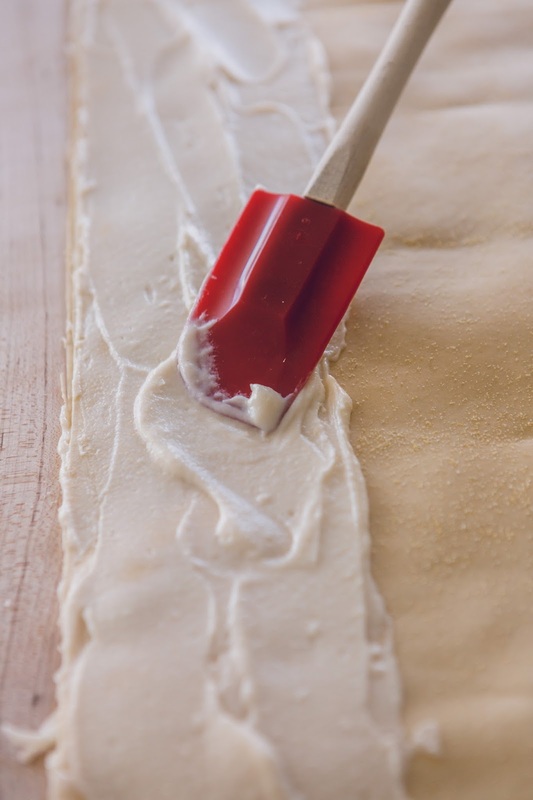 This will be the glue that holds the rolls together, so you will want it to get fairly thick. Remove from heat and strain through very fine mesh sieve to remove the aromatics and any lumps that may have developed. Cover and place in the refrigerator to cool completely. **Substitution suggestion: If you don't want to make a béchamel, you could probably try subbing with a really high quality ricotta, as it will have a similar "spreadable" quality. Next up, the easiest sauce you will make for this recipe... a simple tomato sauce. I considered using my go-to marinara sauce, but this one is even simpler. 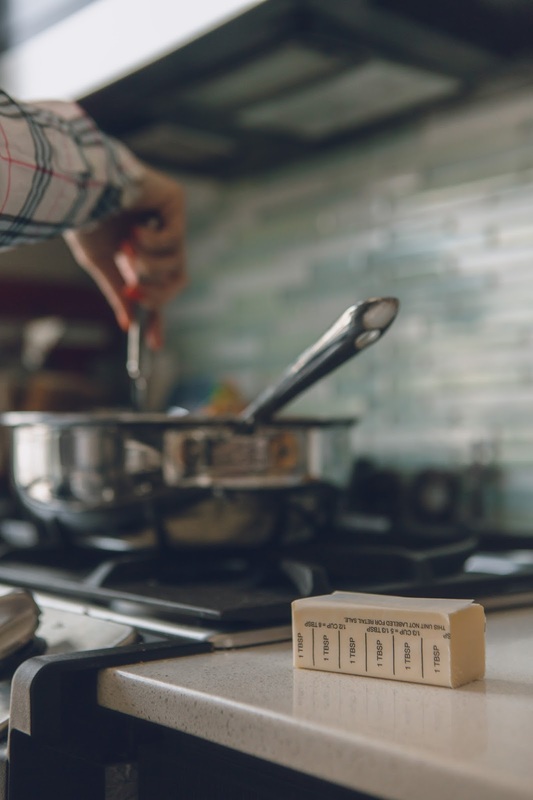 The reason, according to Scott Tacinelli, is to make it light and acidic, to help cut through the cheese, pasta, and rich bolognese. It's the exact opposite of the bolognese, which is slow cooked, developing lots of flavor depth. Olive oil is seasoned with garlic and red pepper flakes, to which you add San Marzano tomatoes. Once the tomatoes come to a boil, you immediately remove it from the heat, take out the garlic, and refrigerate. **Substitution suggestion: If you want to make the process even easier, you could try substituting with a store-bought marinara sauce. Now for the pasta. To achieve the signature pinwheel look, Don Angie uses large sheets of pasta, stuffs them, rolls them, and then cuts them. Obviously, they make the pasta in house. Feel free to knock yourself out and really go all out. However, I tracked down some fresh pasta sheets at a local pasta store in Williamsburg called Savino's Quality Pasta. I recommend going this route to save you a little time and hard work. Now for the fun part... Stuffing and rolling! Start with one sheet of pasta on a clean workspace. 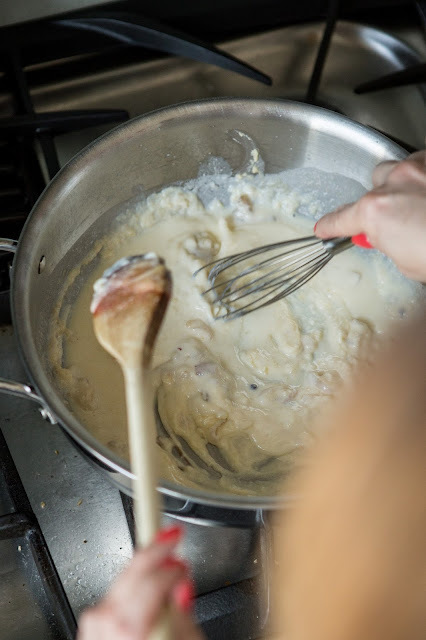 Cover the entire thing with a thin layer of bechamel, making sure to leave about 1/4 cup for the second layer. Sprinkle the bechamel with grated Parmesan and shredded mozzarella. 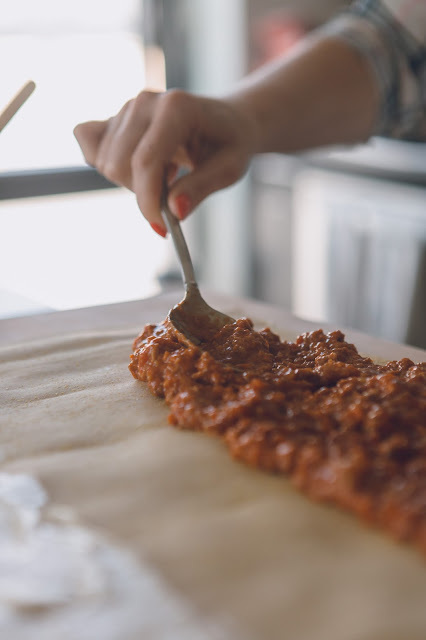 Next, spread a layer of bolognese over about half of the pasta sheet. 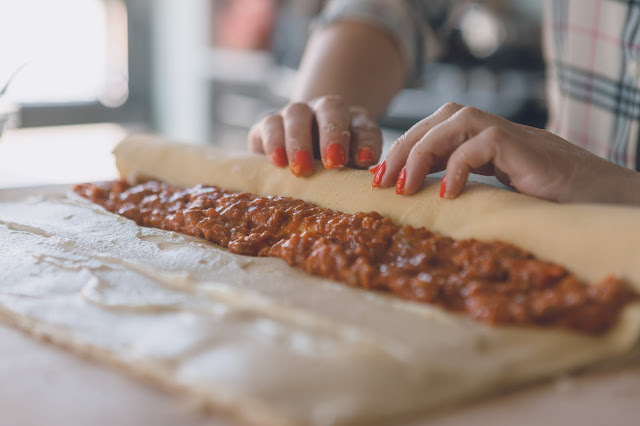 Don't worry about covering the entire sheet with bolognese, because once you start rolling, the sauce will spread even more on its own. Place, seam side down, in the refrigerator to set up and fuse the flavors together. Confession: I actually skipped this step (being lazy again), and it was fine... but if you have time, I would do it for maybe 30-60 minutes. 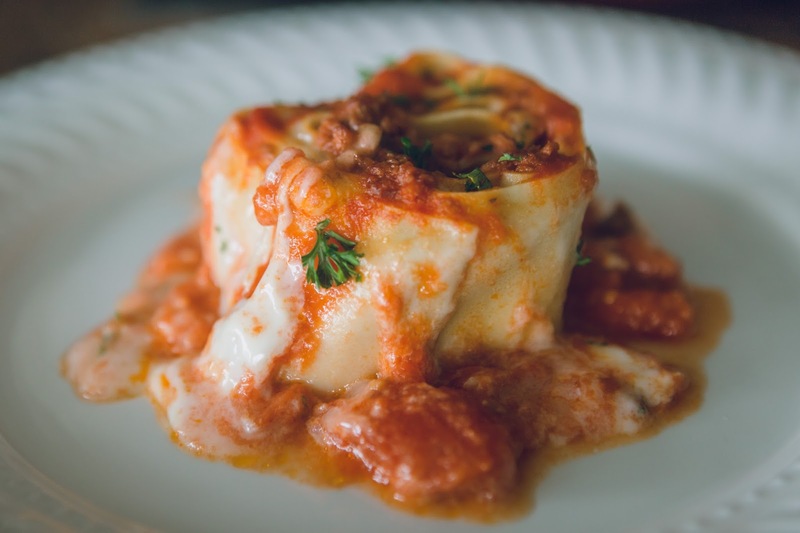 **Substitution suggestion: if you can't find the pasta sheets, you could try using traditional lasagna noodles and rolling individually. If doing this, I would only do one layer of noodles. 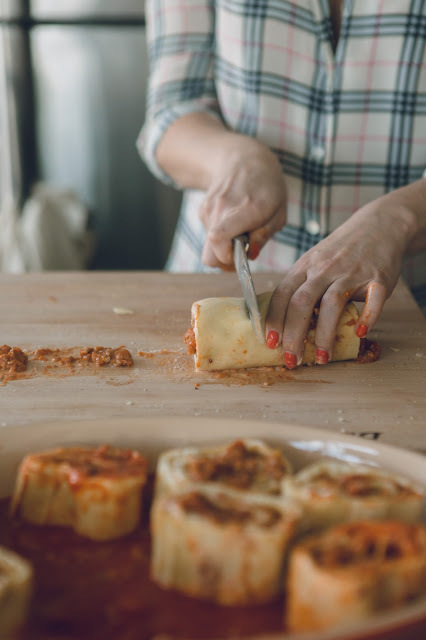 When cool, slice the lasagna log into pinwheels. Ladle the tomato sauce into a casserole to cover the entire bottom of the dish. 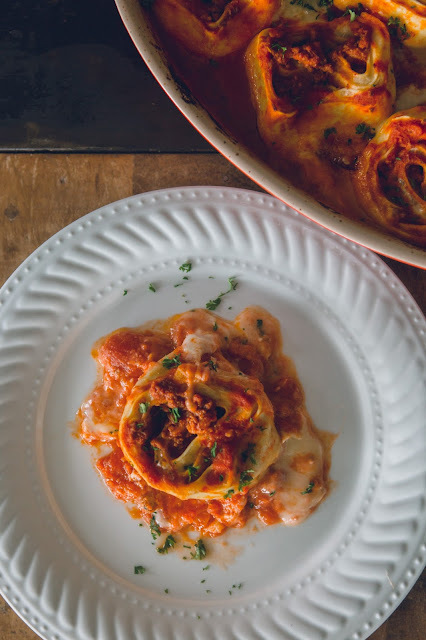 Lay lasagna pinwheels into the casserole dish, with the cut sides facing up, until the dish is full. Because I didn't boil the pasta sheets first, I made sure every part of the noodle was covered with sauce. For this reason, I probably used more tomato sauce than they do at the restaurant. Finally, add dollops of robiola cheese in between the pinwheels. **Substitution suggestion: if you can't find fresh robiola, you can try subbing marscapone or ricotta, it just will be slightly different in texture, and a tad heavier. At the restaurant, they serve six lasagna pinwheels. My pasta sheet made 10, so mine was more like "Lasagna for 3 or 4." Put in the oven at 425 degrees and bake until the sauce is bubbly and the top edges of the pasta have started to crisp and brown. (The original recipe said to cook for 15-20 minutes, but I found that mine needed closer to 30-35 minutes.) You can also run it under the broiler for a minute or two if you feel it's cooked through, but hasn't yet browned on top. **Next time, I might even cover it for the first 15 minutes to help fully cook the pasta sheets with steam if not pre-boiling. 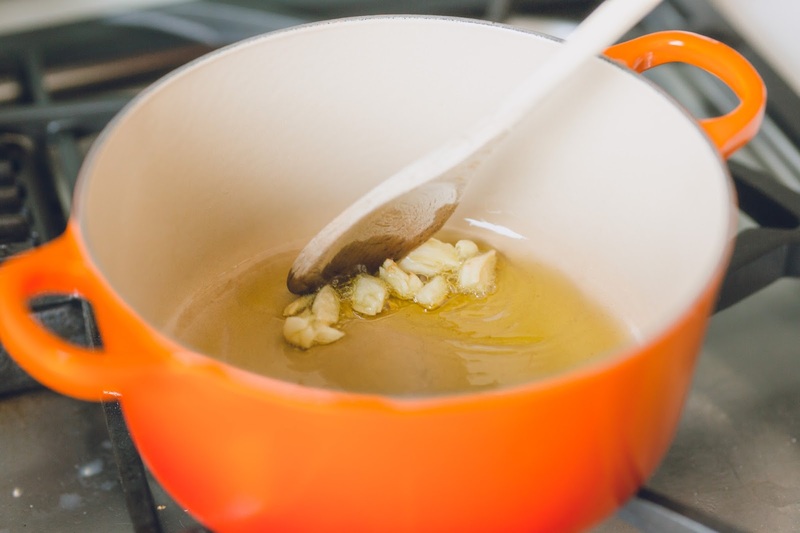 Melt butter in a heavy-bottomed pot over medium heat. Add shallots, bay leaves, thyme sprig and peppercorns. Cook over low heat until shallots are translucent. Add flour and stir well. Cook over medium heat for five minutes, stirring constantly. Add milk and stir. Cook for 10 minutes, stirring constantly. Season with salt to taste. Remove from heat and strain through very fine mesh sieve. Cover and place in the refrigerator to cool. In a heavy-bottomed pot over high heat, sauté the pancetta until fat starts to render and pancetta starts to get crispy. Add diced onions, celery & carrots and sauté until they start to soften. Add garlic and cook for another minute. Push the vegetable & pancetta mixture to the side. Add olive oil and then add the Italian sausage and ground pork and cook until browned, breaking up with a wooden spoon or back of a fork. Season with a couple grinds of black pepper. Add wine and cook for 5-10 minutes, until alcohol has cooked out. Add San Marzano tomatoes & milk. Stir well, breaking up any big tomato chunks with a wooden spoon. Cook over medium-low heat for about two hours. Season with salt to taste. 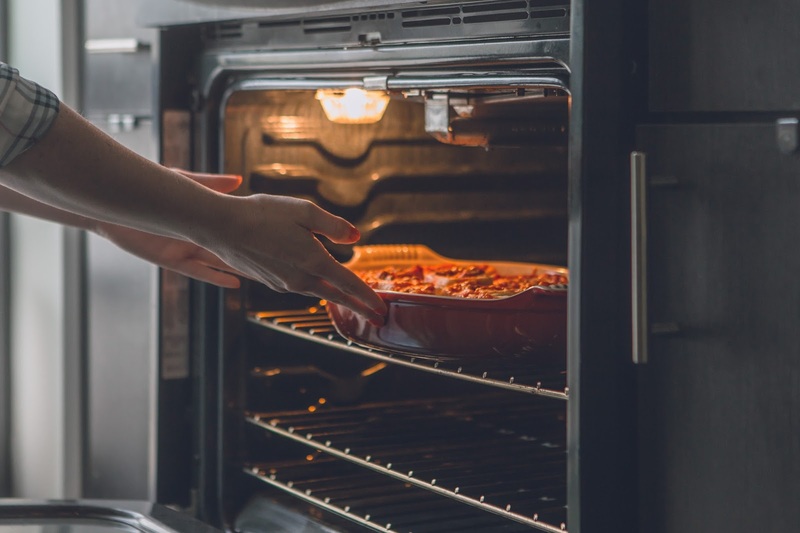 Remove from heat, cover and place in refrigerator to cool. Heat olive oil in a heavy-bottomed pot. Add garlic and cook over low heat until soft. Add red pepper flakes and cook another 1-2 minutes. Add tomatoes, increase heat to medium high and bring to a boil. Immediately remove from heat. Season with salt to taste. 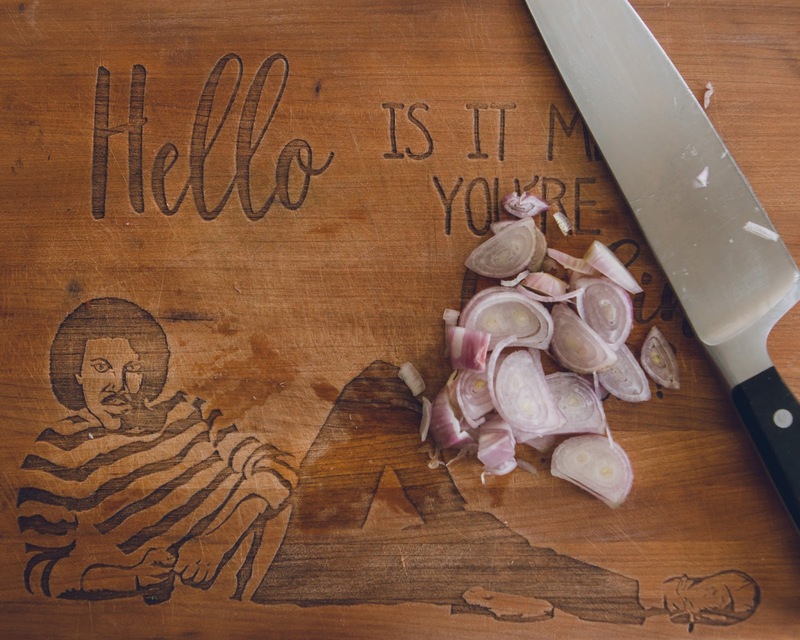 Remove garlic. Cover and refrigerate until ready to use. Lay out a pasta sheet on a clean countertop. 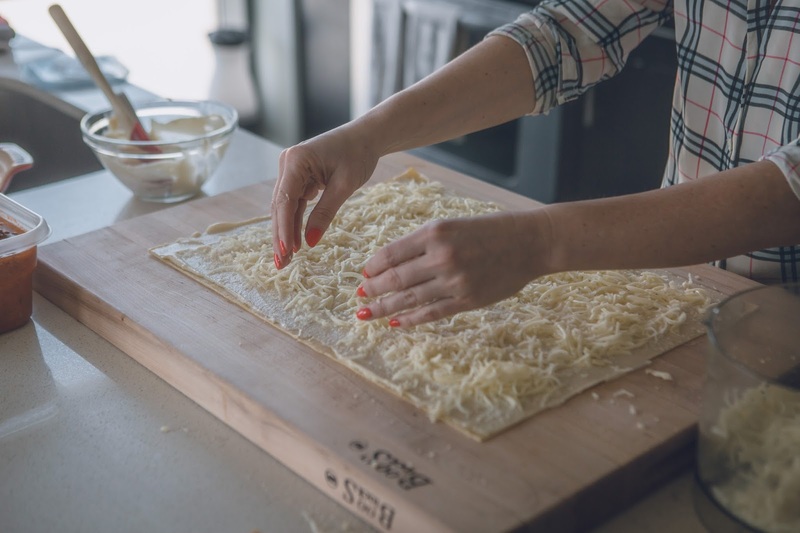 Spread a thin layer of béchamel evenly across the pasta sheet. Sprinkle parmesan and mozzarella over the béchamel. Place another sheet of pasta on top. 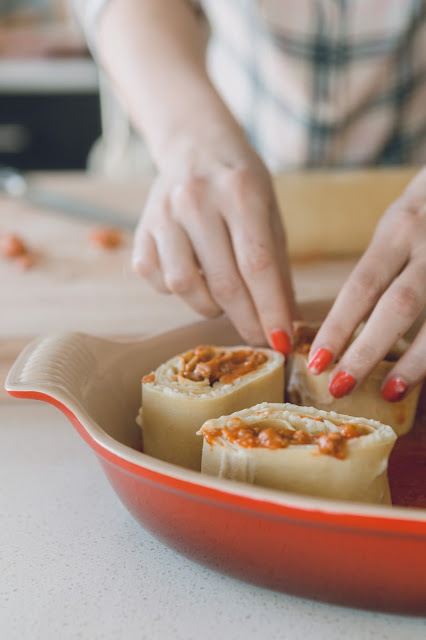 Spread a layer of Bolognese evenly across the second pasta sheet, leaving one edge uncovered with sauce in order to seal the roll closed. 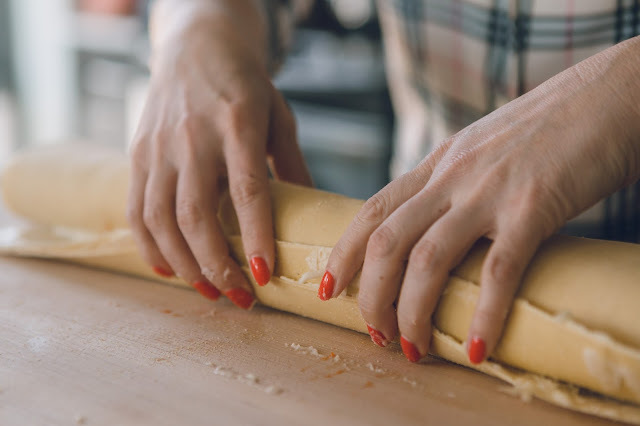 Roll the layered pasta into a log. Place in refrigerator to cool. 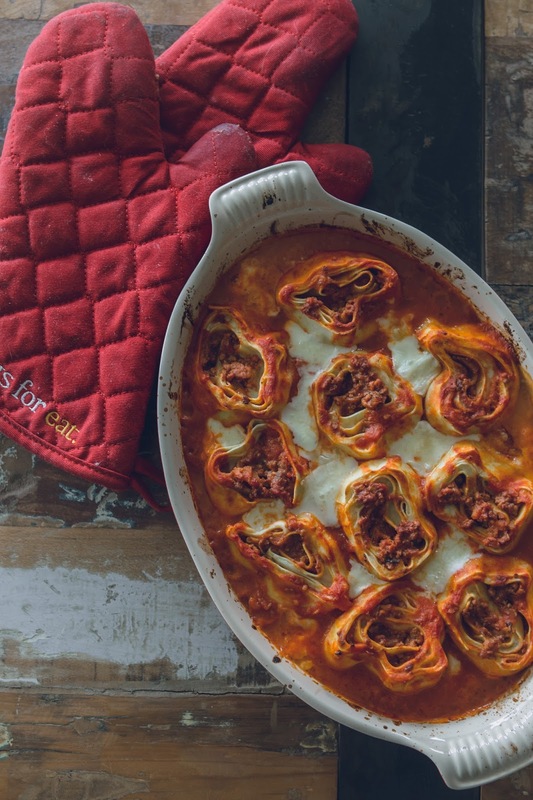 When cool, slice the lasagna log into pinwheels. 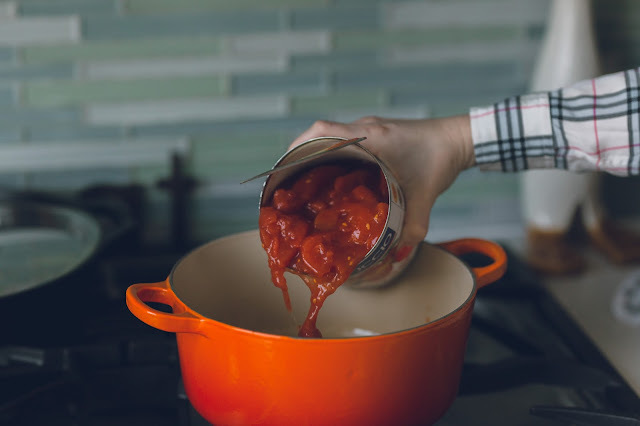 Ladle the tomato sauce into a casserole to cover the entire bottom of the dish. 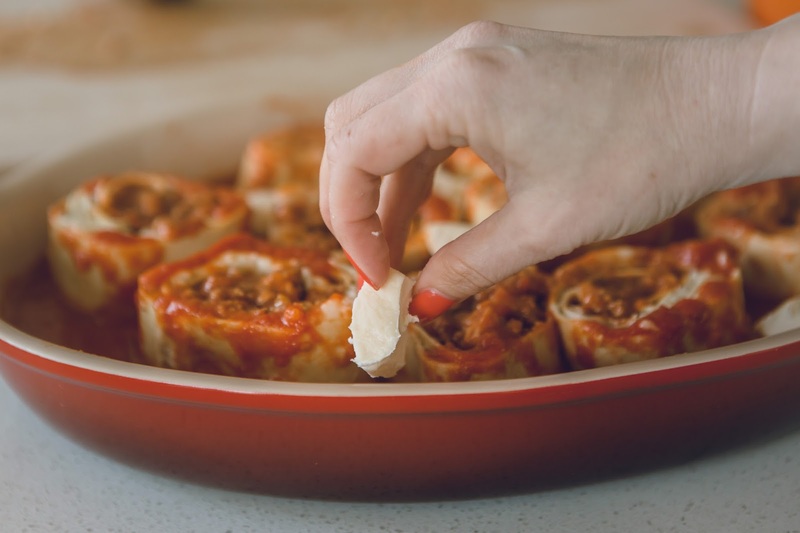 Lay lasagna pinwheels into the casserole dish, with the cut sides facing up, until the dish is full. Add dollops of robiola cheese in between the pinwheels. Place in the oven and and bake until pasta edges are golden brown (at least 15 minutes, but possibly up to 30.) Top with chopped parsley and serve. 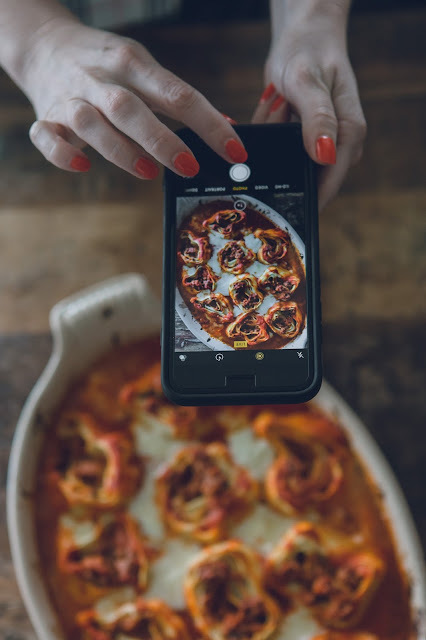 I have done a couple of different lasagna, and always do a became, but never with all of that extra stuff in it... not sure I can find fresh pasta out here in the Midwest, but will have a look, I would like to give this a go.